Difference between revisions of "DVB-T USB Devices"
The following table lists the confirmed working DVB-T USB devices and provides a brief summary of their features and components. If you need more technical information on a device, have a look at its specific wiki article. The device is supported through the Linux kernel. In addition. Asus provides drivers for this device through their website. The tuner sensitivity is less than impressive. Comment: Trouble scanning for channels with Kaffeine: This is a know-problem of Kaffeine itself, it has nothing todo with the driver/device. Use a channel list made with tzap or other, in Kaffeine import this list, switch to a channel, rescan and save the found channels. Do this for all transponders (4 channels per transponder). These devices are clones of a DVB-T USB2.0 reference design made by DiBcom. Remote control handling is different to the one used in the other DiBusb clones and many essential keys do not work at all (with X.org and linux kernels 2.6.17 and 2.6.18). Most of these devices are (sometimes slightly modified) clones of a DVB-T USB1.1 reference design made by DiBcom. This device is dark blue. 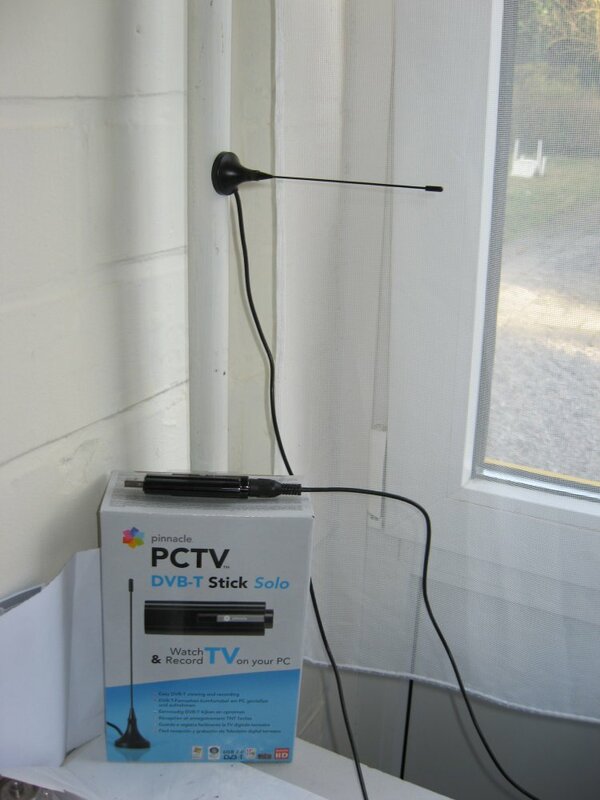 First DVB-T USB box on the market with DiB3000M-B built-in. There are several clones of this device: some have the AN2235 USB controller instead of the AN2135; some use a Panasonic tuner instead of the default Thomson Cable tuner. Most of the Boxes have standard Cypress USB IDs which makes it very hard to identify them. A HOWTO for this devices can be found here. These devices are clones of DVB-T USB2.0 reference designs made by DiBcom. MOD3000P1 (FX2), MOD3000P1.2 (FX2-LP) and STK3000P. Note: Currently, at least two dib0700-based devices are known to have problems. The Nova-T 500 suffers from random disconnects after a few hours or days, and the Nova-T Stick, and possibly others using the same hardware, suffer from I2C errors. Updating to current Hg drivers and using new firmware should cure these. Comment: In case someone is opening the device, one can find the DiB7700-chips (B/C/D), which is demodulator and USB in one silicon. There is also a package called the DiB7070P where the DiB7000PC is the DVB-T demodulator, DiB0070 is the RF tuner. The USB firmware used is the same for all devices. The dvb-usb-dib0700 module has a parameter which forces the activation of LNAs (Low Noise Amplifier). If you have reception problems you can try to load the module with force_lna_activation=1 and see if it works better. Normally the LNA is controlled automatically by software so, in general, there should be no need to force activation. If a device has an LNA, it is shown in the table below; for those which have no LNA, this parameter has no meaning. Has USB id of 05d8:810f. Remote control untested. USB ID 1044:7001, DVB-T support in Hg tree as of 10-Nov-2007 (merged into mainline 2.6.25-rc1). Remote does not work yet. A.K.A. "Bristol". The LNA needs manual activation. Identical to the USB Stick Elgato is selling. There are 3 known variants; see the main page for this device for identification and support details. There exists another device with the same design and name but different internals. Both are supported by linuxtv.org. Dual tuner device. The diversity feature is not supported yet. Dual tuner devices. The diversity feature is not supported yet. Works with recent v4l-dvb drivers from mercury repository. USB ID not yet in code. Must be patched. The USB protocol which is used by this device is equal to the one used in DiBcom USB2.0 reference design. Thanks to Hanftek who especially wrote a firmware for easy Linux-Support. Stick-sized. Different colours (blue, grey, red). It has a MAC address. Devices are starting to be supported. The TV Walker twin contains a ULi M9206, which is, according to the website, a "versatile digital audio/video controller for various digital TV standards such as DVB and ATSC. M9206 supports Microsoft's latest Broadcast Driver Architecture (BDA), which offer customers design flexibility and broad market coverage to both DVB and ATSC standards." A pair of TDA10046A OFDM channel demodulators and TDA8275A Silicon Tuners provide the DVB-T functionality. There is also an IR receiver which is presumably controlled by the M9206. Note: this device's USB cable comes with 2 USB plugs. This is not one plug per tuner; plug in both of them together to supply adequate power to the device. 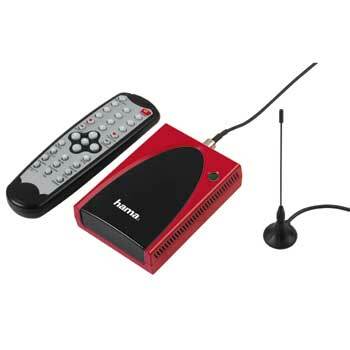 This device uses a Zarlink ZL10353 DVB-T chipset and a Qauntek QT1010 demodulator. In addition there is built-in infra-red receiver which is registered as a USB HID V1.01 Keyboard. USB2.0 Zarlink ZL10353 Not required? Appears to load without requiring firmware. Tested with Kernel 2.6.24 (Ubuntu Hardy). There is an SDK for download on the Nebula WebSite, which was used to improve the driver's quality. Was the first USB2.0 box on the market (late 2003/early 2004). The programming of the MT352 is hidden behind the USB protocol defined within the firmware. The latest Freecom/Yacumo usb stick has a Realtek 2831U chipset and any of the following usb id's: 14aa:0160, 0bda:2831, 2304:022b, 185b:0100, 13d3:3216, 13d3:3220, 13d3:3236, 13d3:3244, 08dd:2103. Latest Windows drivers dates january 2007 and can be downloaded at freecom.com If anyone has any info on how to get these to work or if a specific firmware works, please add it here. The driver source can be downloaded from , but be aware it has only be confirmed to work on devices with usb id 14aa:0160. For easier installation you can use . Just unpack and do a make and sudo make install. Now it doesn't exist in the Lifeview's page, not in discontinued products and not in External TV solutions, only a P Plus but i supuose that is different like the Q (now unsupported) and the Q PLus in External TV solutions. ¿Somebody can confirm this and also put info about the new product of lifeview if they're different? Zaapa USB DVB-T Model: LR523 - (I can't find the lr523 in their web page) This one seems to be exactly the same LifeView TV Walker DVB-T Q LR506, lsusb also reveals (idVendor 0x10fd Anubis Electronics, Ltd) and the idProduct is 0x0513 I don't know if is the same id product that the LifeViews Q stick but is the same that the Lifeview TV Walker Twin (this make an issue triying to make it work because the Walker Twin is different, the last two paragrafhs of this point explain this issue), anyone can post here the idProduct of lifeview's (if it's the same the issue of this stick will also apply to the Lifeview Q stick). I say this based on http://www.bandaancha.st/foros.php?temid=592815#633106 the post #44 says that in spanish, and also tell windows users with problems in channels reception, to use the driver and also the aplication from lifeview for the lr506, and seems that most of the users have their problems solved. I have opened one of it and it have the TDA10046A and a uli m9206 and a Philips 8275AC1 below the ir reciever. Anyone can check that the Lifeview really have a TDA8275A? In a kernel-2.6.22-gentoo-r1 with the firmware supplied by the ebuild linuxtv-dvb-firmware and DVB_CARD="tda10046lifeview" only, the usb is detected as a TV Walker Twin insted of a TV Walker DVB-T Q LR506 and the result is to fail triying to load the wrong firmware. This was with a similar to Q LR506 zaapa LR523 and also with the tda1004x module also in use by a saa7134_dvb, don't know if this can cause problems when i could load the correct firmware. Somebody can make mechanism to detect this card as is and not as a TV Walker Twin? This is caused by a similar vendor and product ids. In the zaapa web page I found one the ZT- LR 506Q http://www.zaapa.co.uk/Public/ficha_producto.asp?CPRO=636 this one have also the same name that the lifeview ones, the image of this tunner is the same that the zaapa LR523 except that the 523 have the anthena connector oposite to the usb side. I can confirm this, I have a TVisto buyed at the end of 2007 in spain, ID 15a4:9016: iManufacturer 1 Geniatech iProduct 2 AF9015 this data is show using lsusb -v, the ids are the first of the two pairs that are in the AF9015 wiki. The dongle seems to be exactly the same, only differs in the printed letter in the plastic chase. If you really confirm that you posses a tvisto like their own webpage with the E3C ids edit this, only showing the two posible types and the ids of each one. I've found a USB ID: 18b4:fffa. It has [MXL5003S] and a "EC168 X***98501T" (I couldn't read all numbers, they were deleted). In reverse (inside in the circuit) It has "4407 ver 2.0"